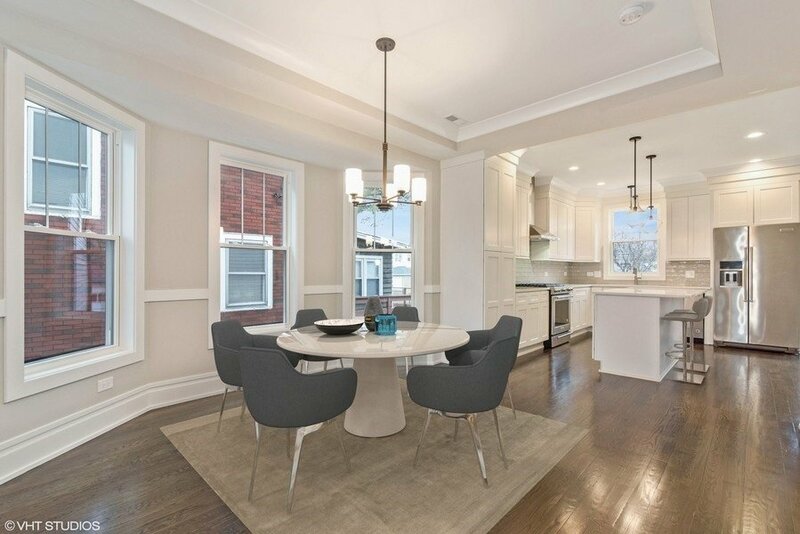 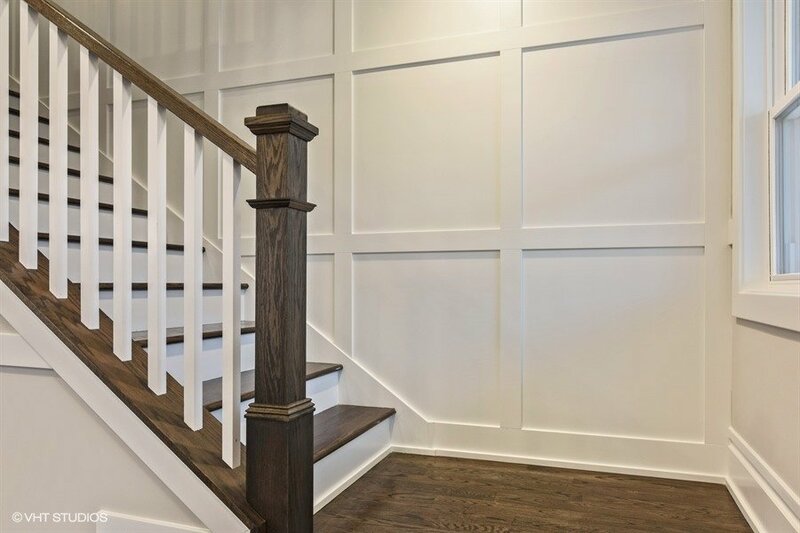 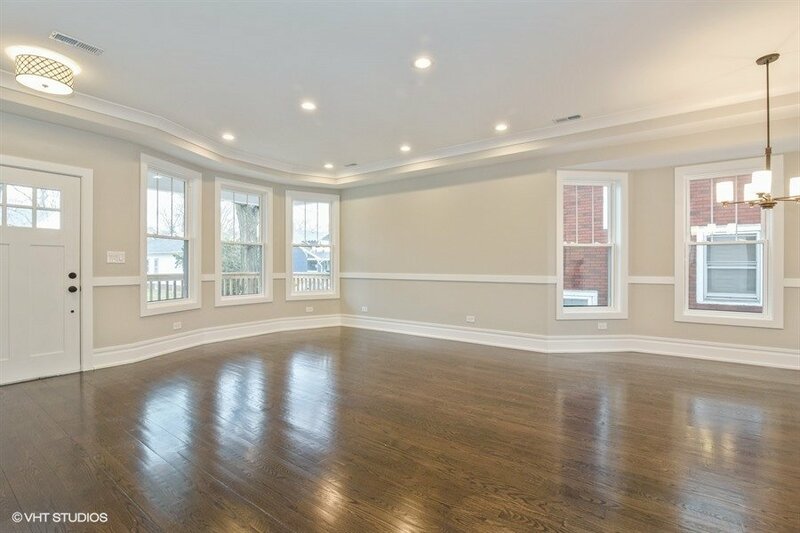 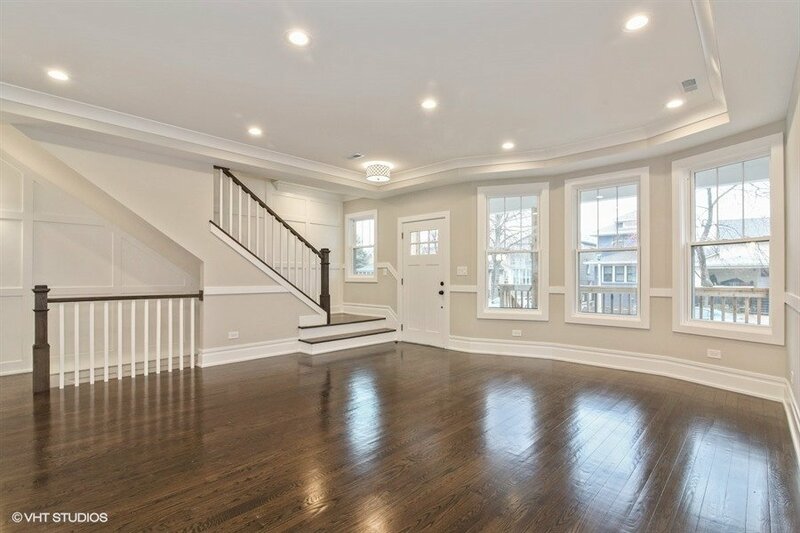 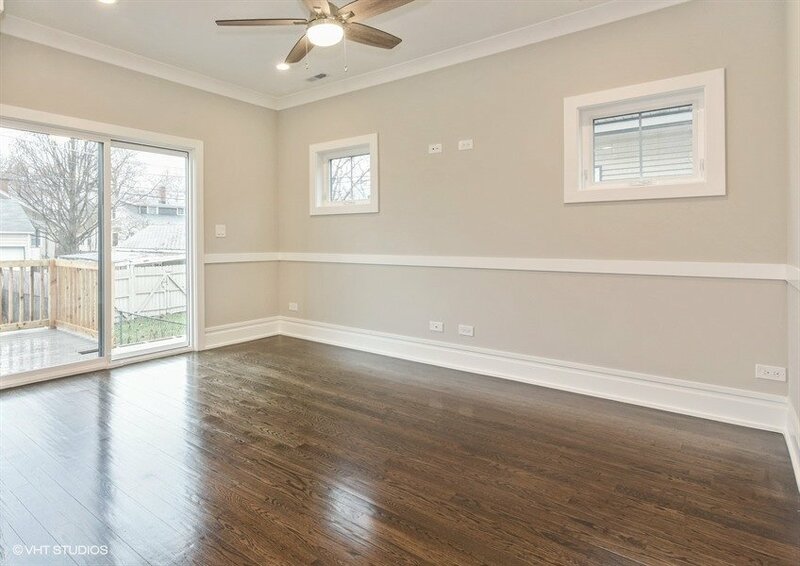 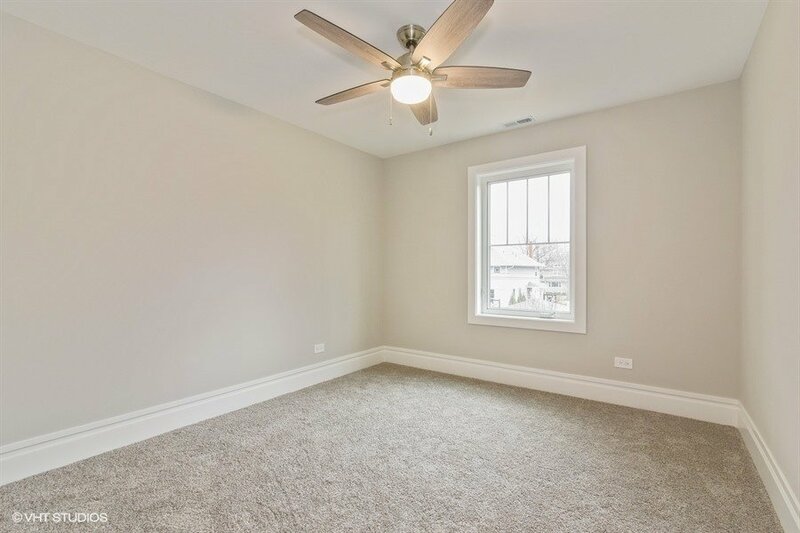 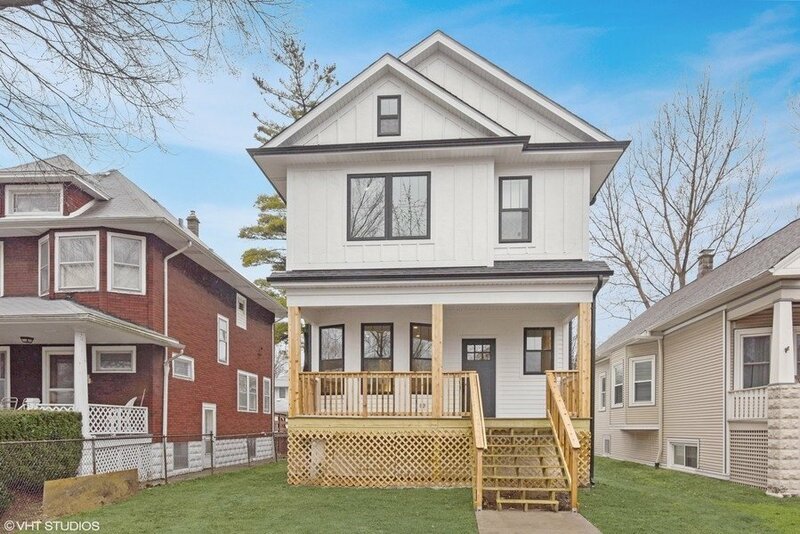 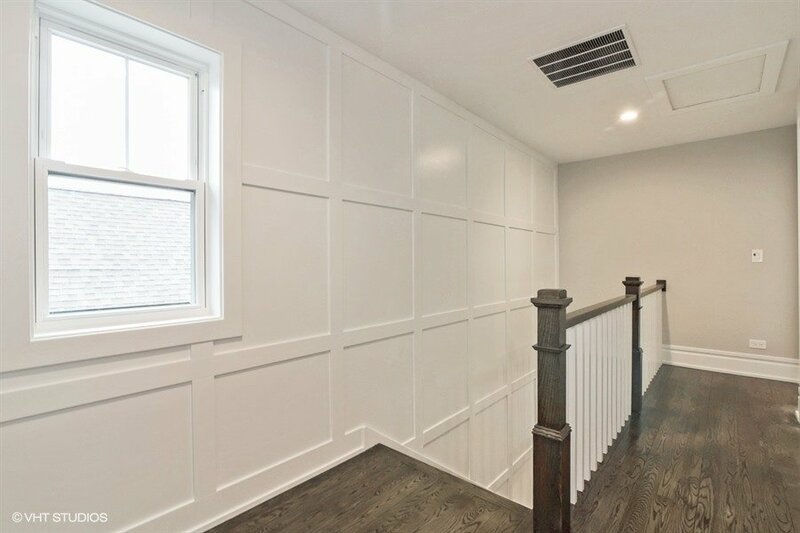 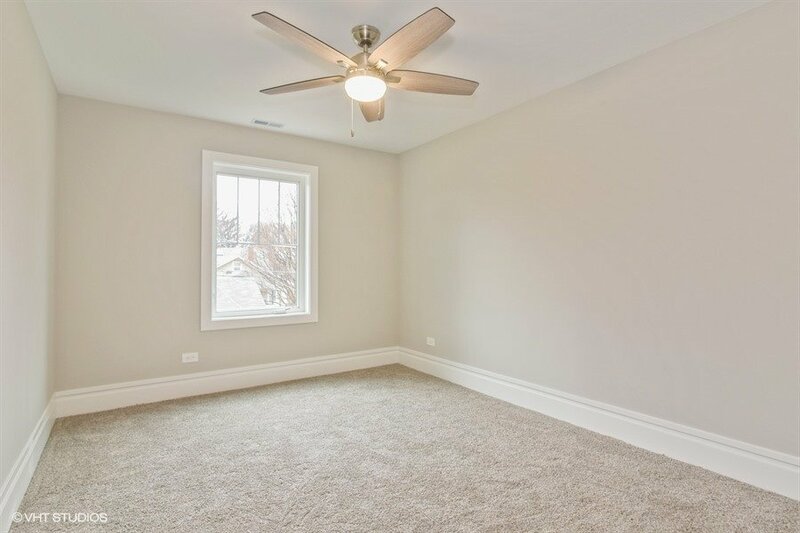 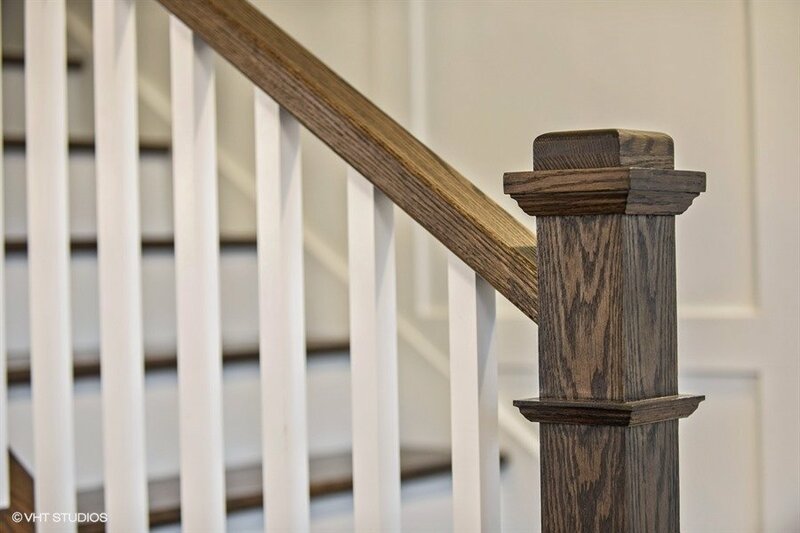 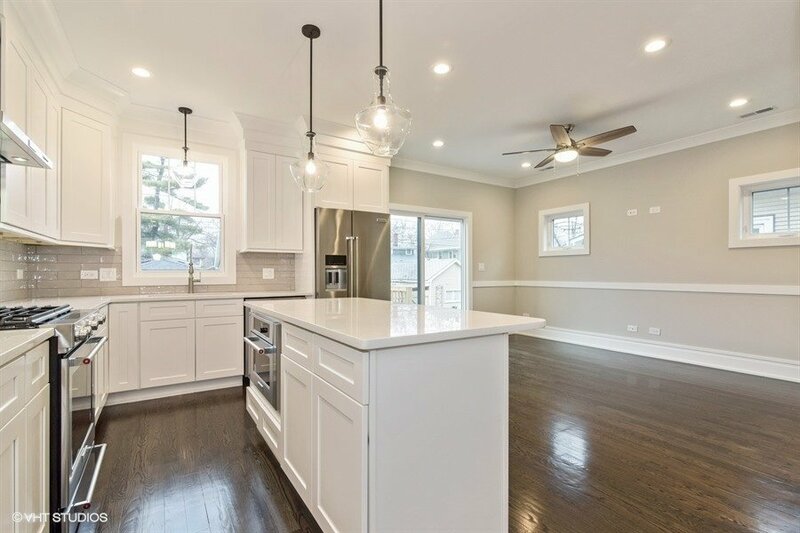 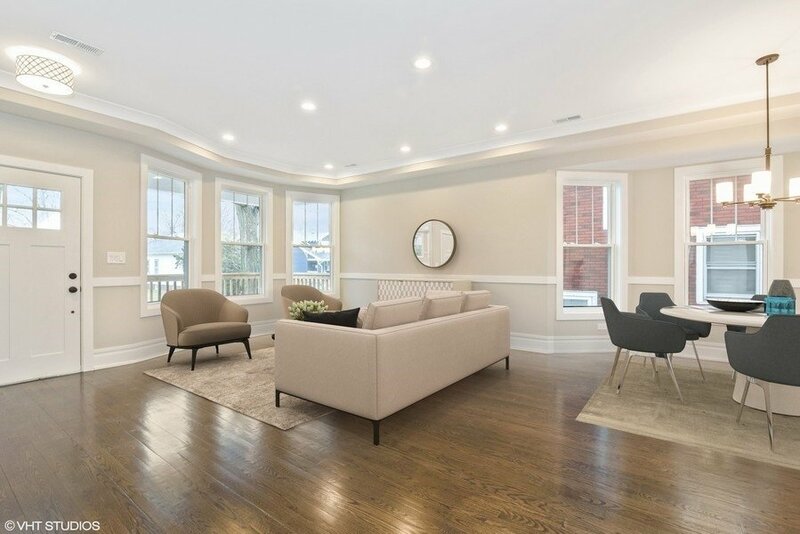 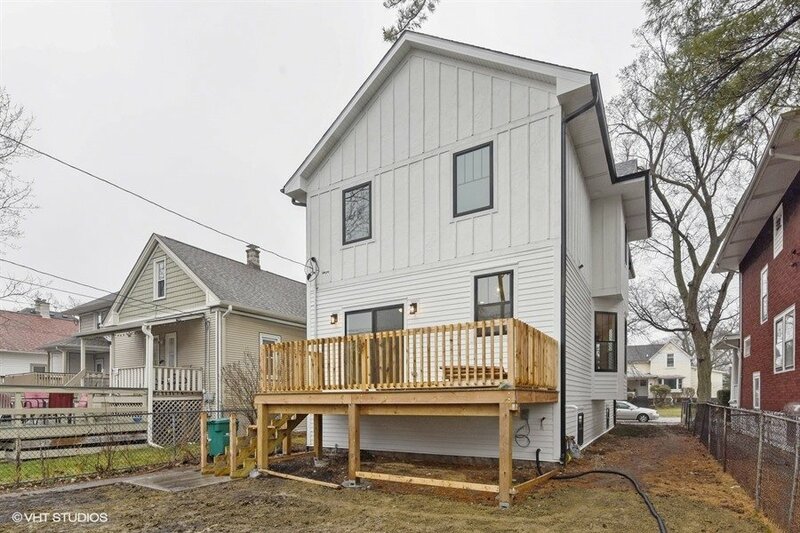 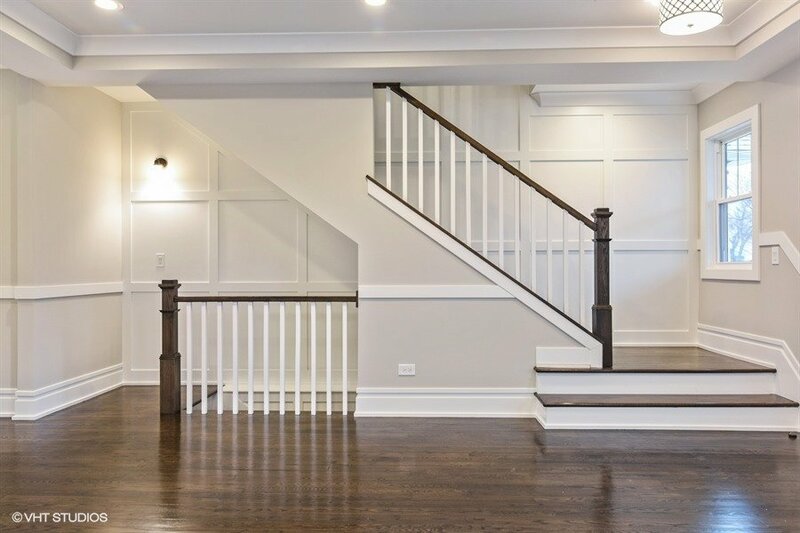 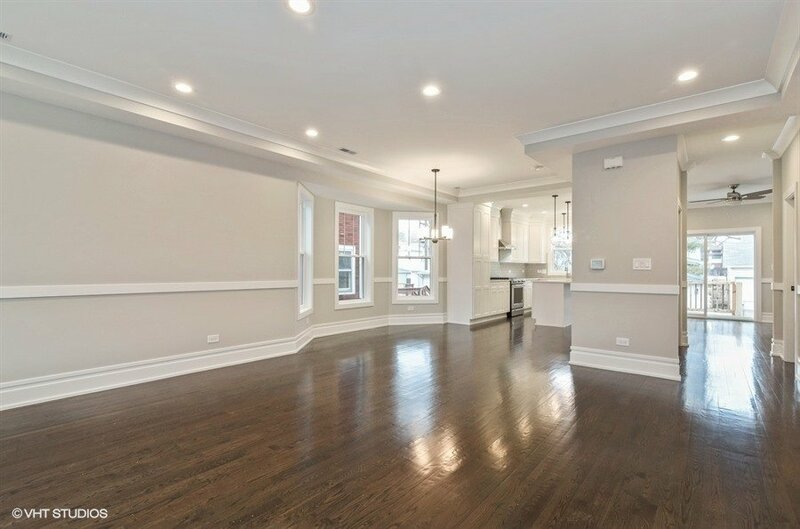 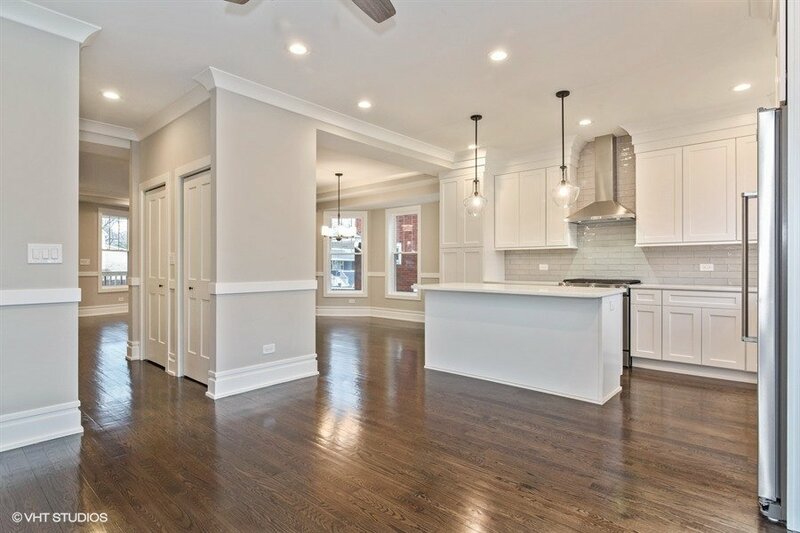 The dream of living in lovely Oak Park comes true in this expertly constructed 4-bedroom home, boasting a two-car garage and welcoming front porch. 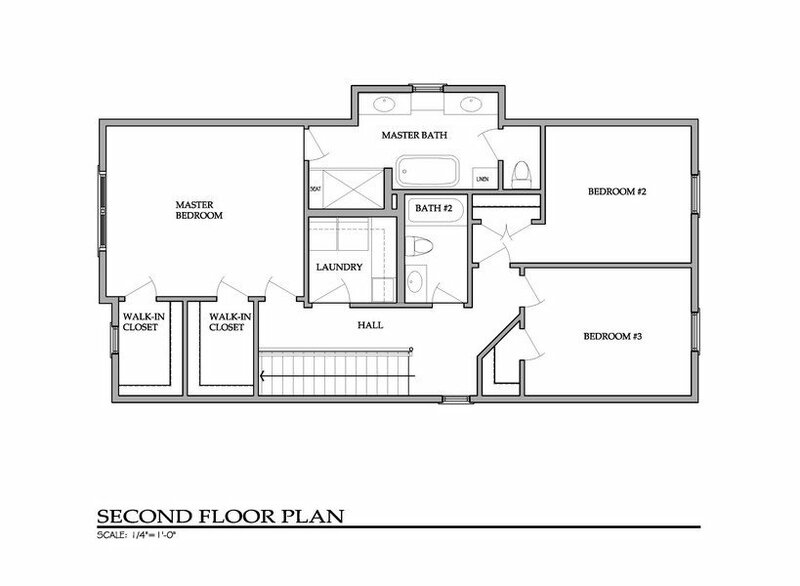 With nearly 3,000 square feet in an open plan design, every space has room to breathe. 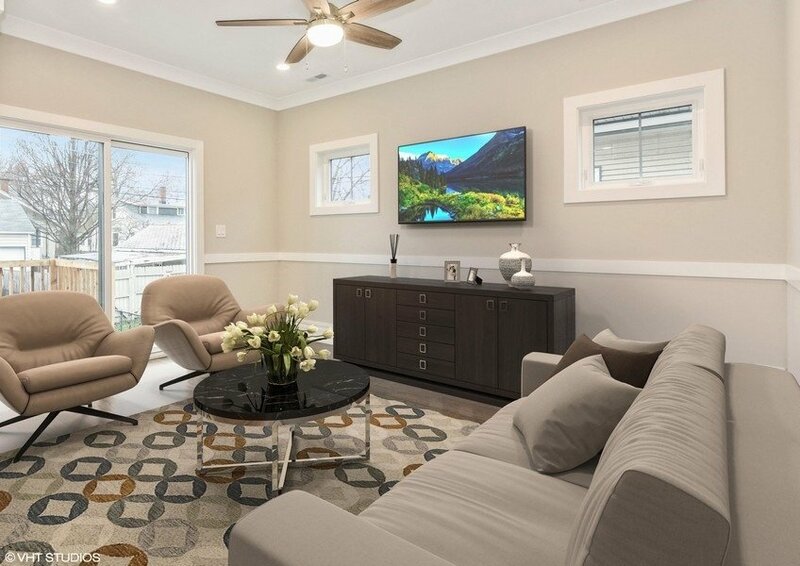 Gather friends for the big game in your incredible family room. 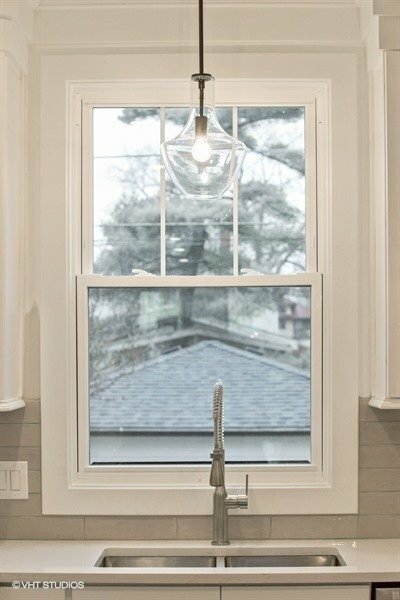 Gaze out through a trio of south-facing windows as you enjoy the warmth of the sun streaming into the dining room. 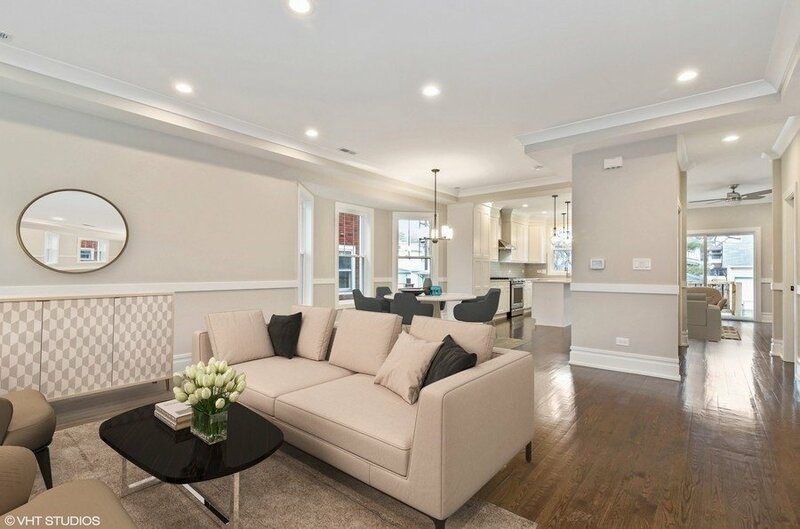 And host in sophisticated style in the ariy living room. 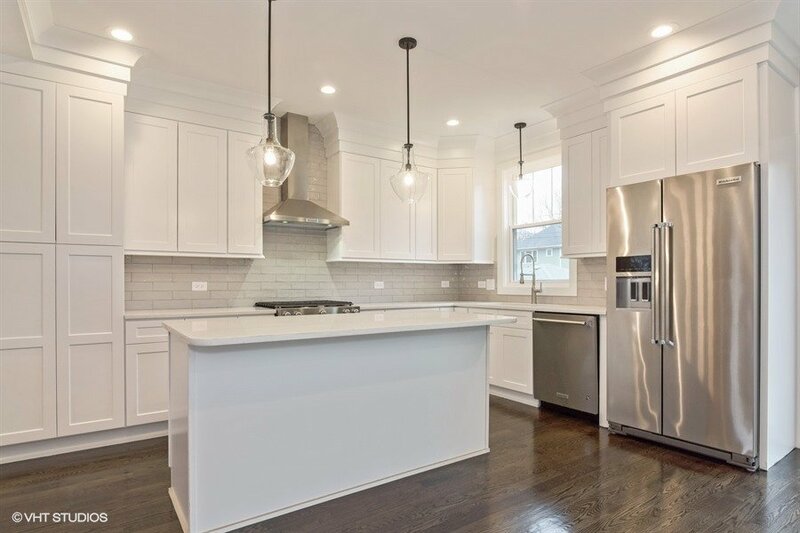 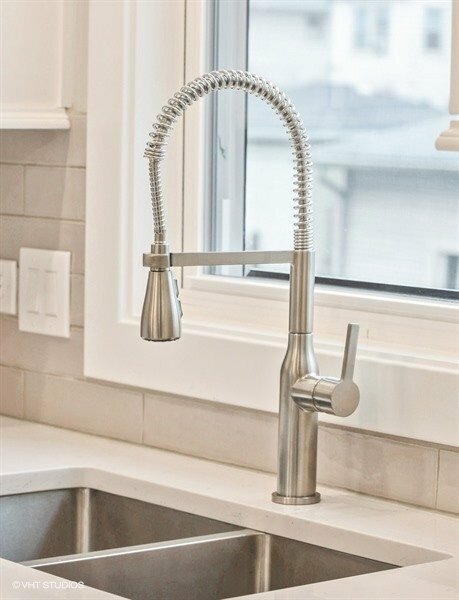 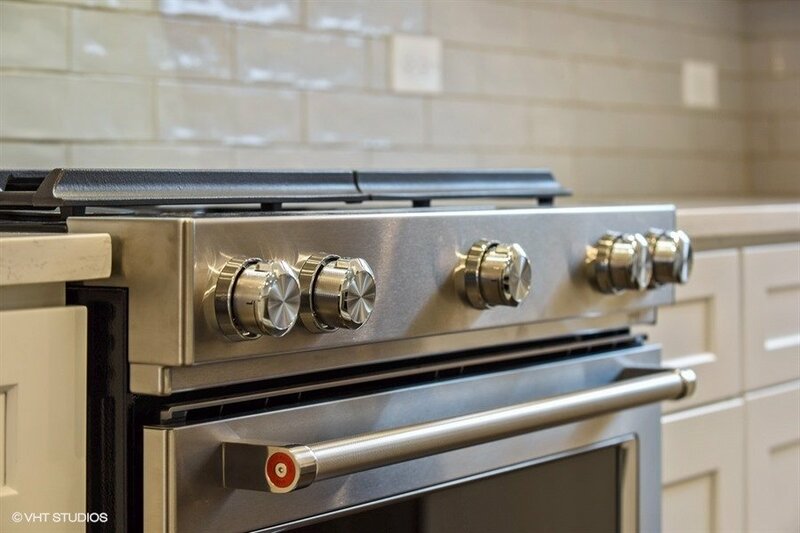 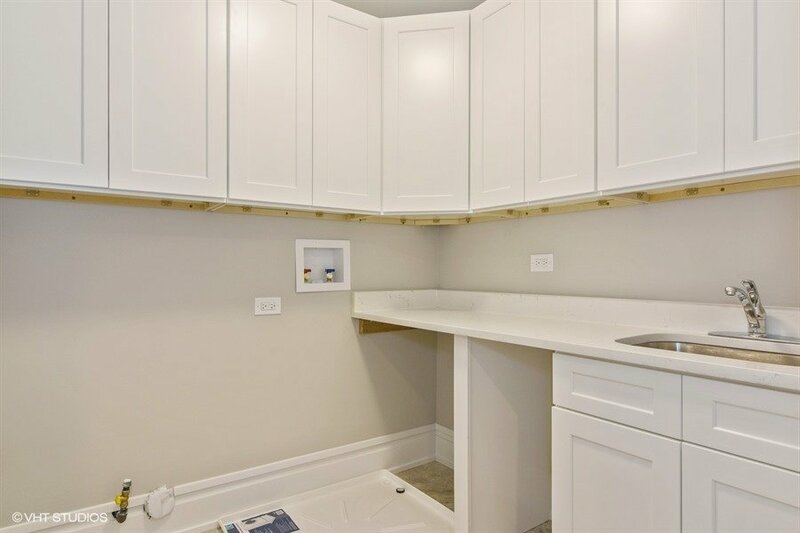 Custom trim work, recessed lighting and warm hardwood flooring flow into the classy white kitchen where quartz countertops gleam, and stainless steel KitchenAid professional appliances channel your inner chef. 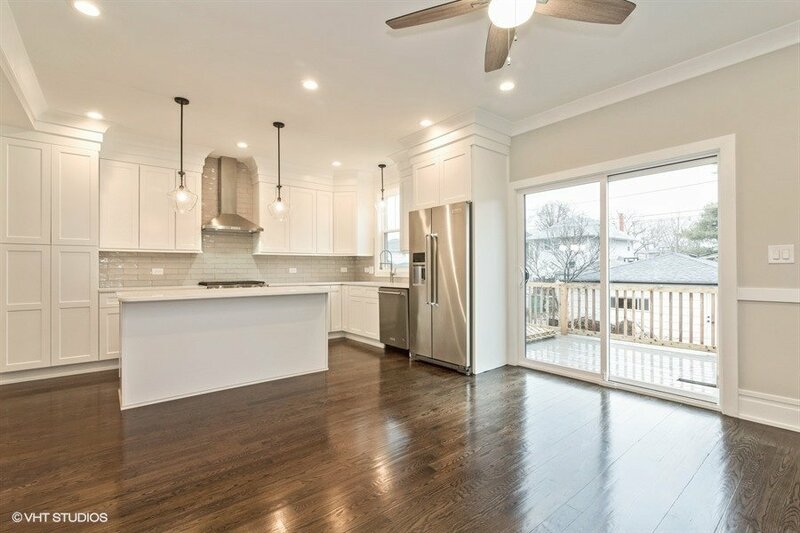 Bring breakfast outside, through glass doors to the back deck, overlooking a sprawling back yard; or pull up a stool at the ample island with wow-worthy hanging light fixtures. 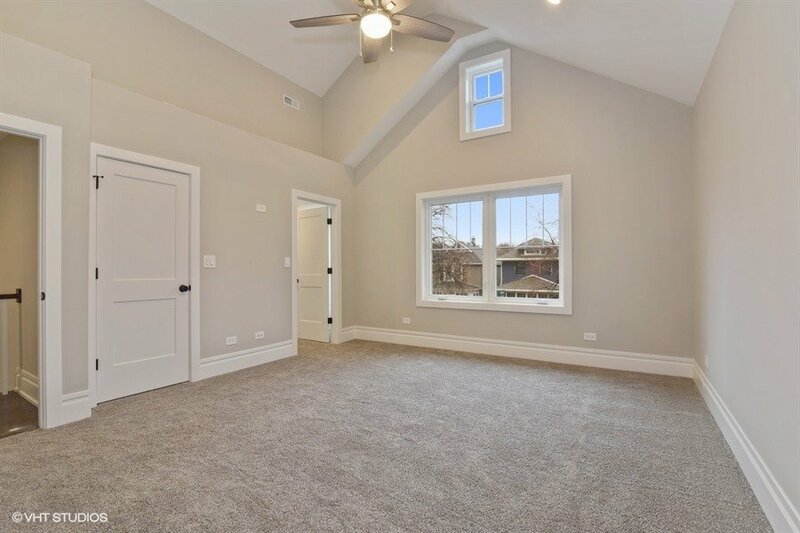 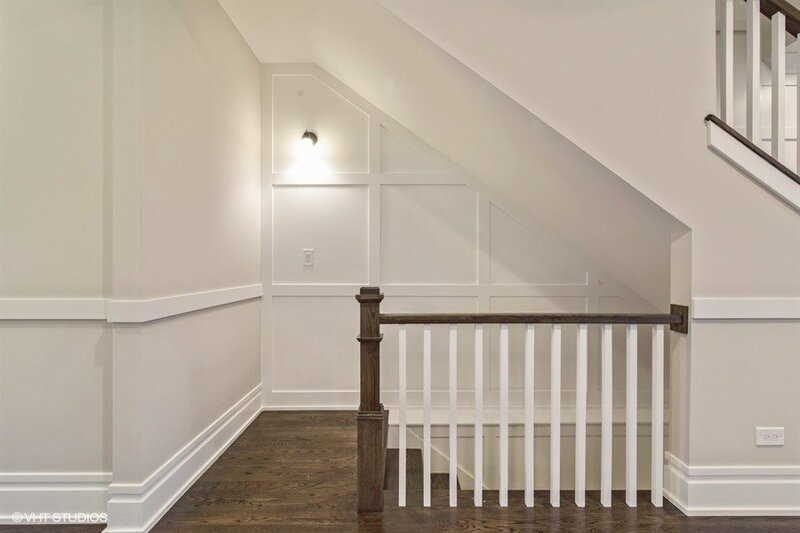 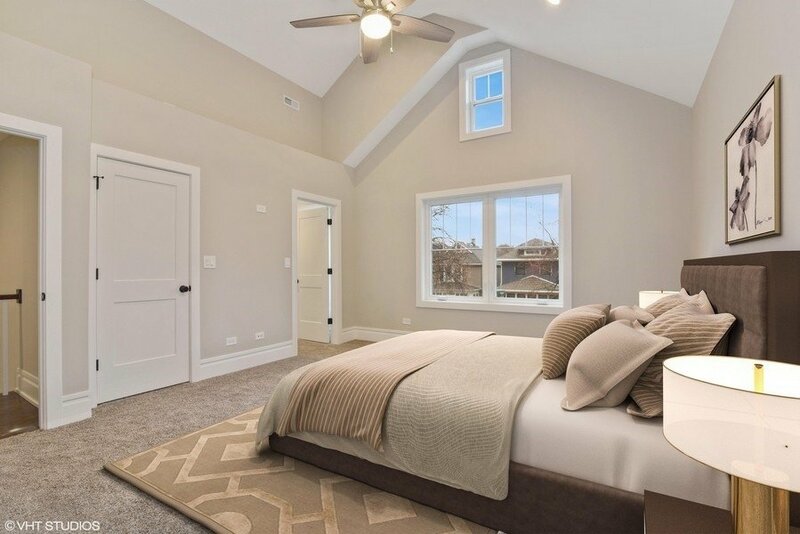 Upstairs, the fully carpeted master suite features distinctive, vaulted ceilings and double closets. 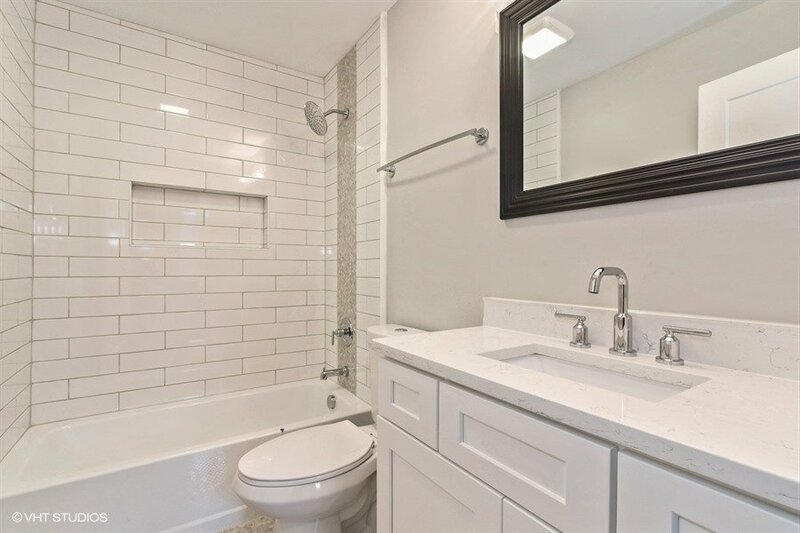 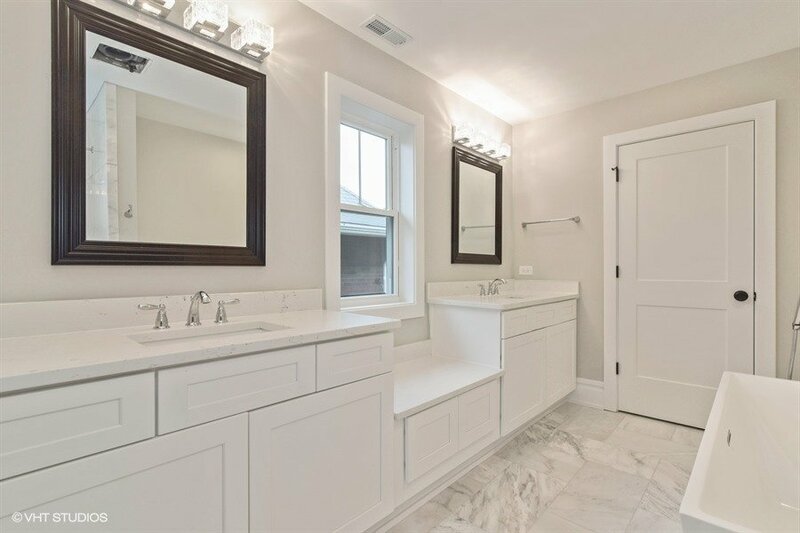 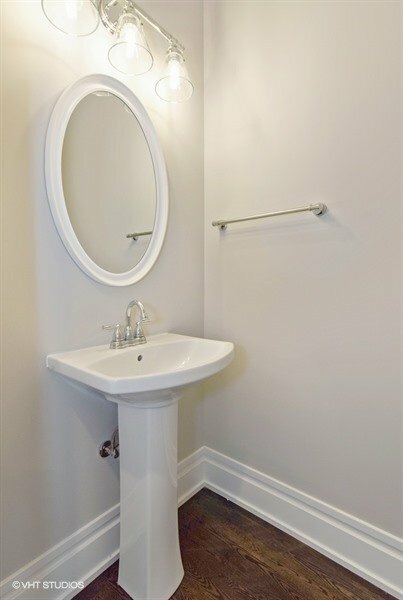 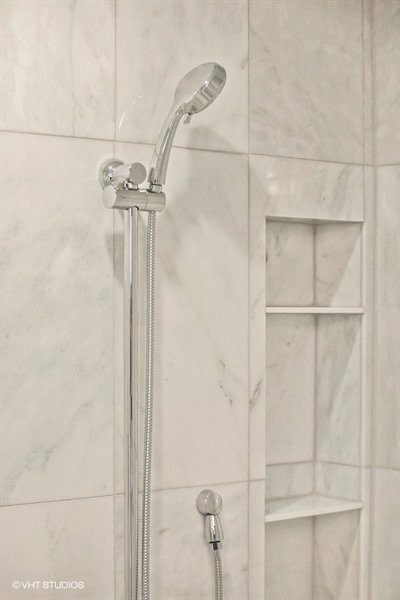 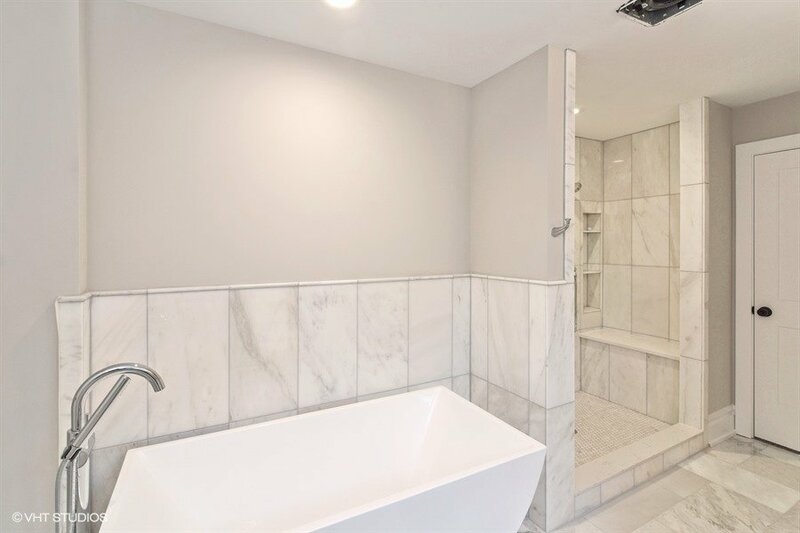 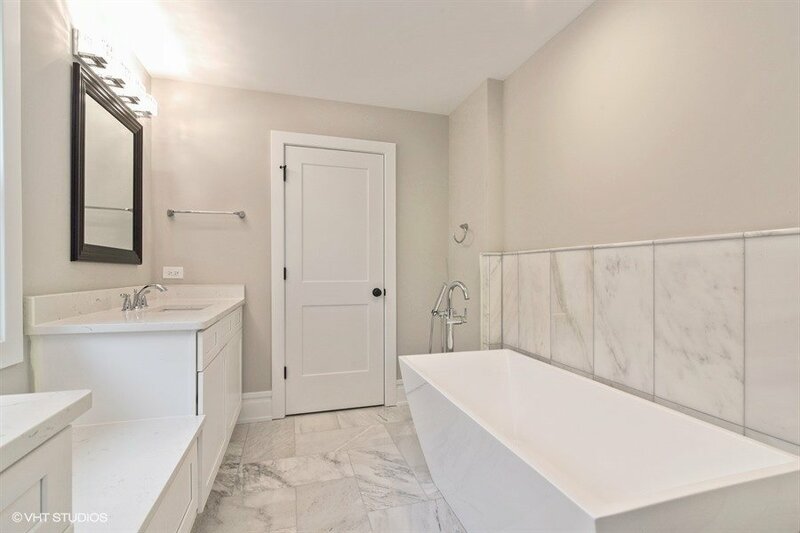 The master bath gleams in gorgeous marble and quartz countertops with a dual-sink vanity. 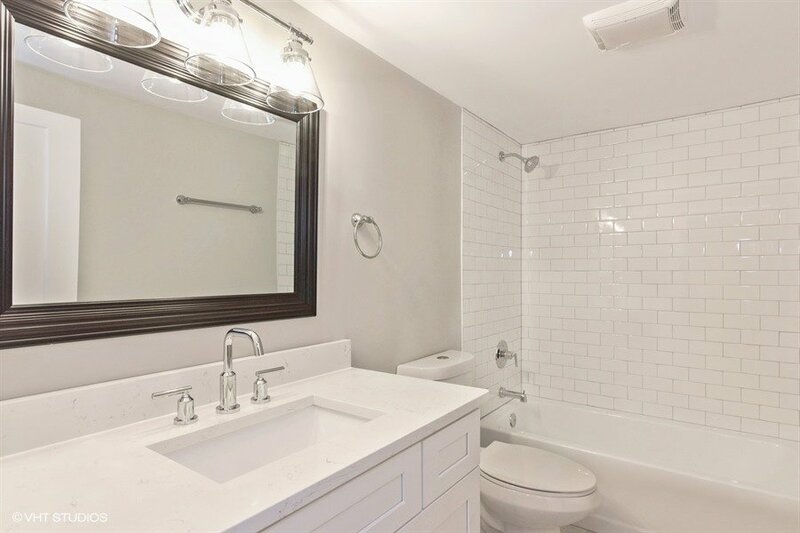 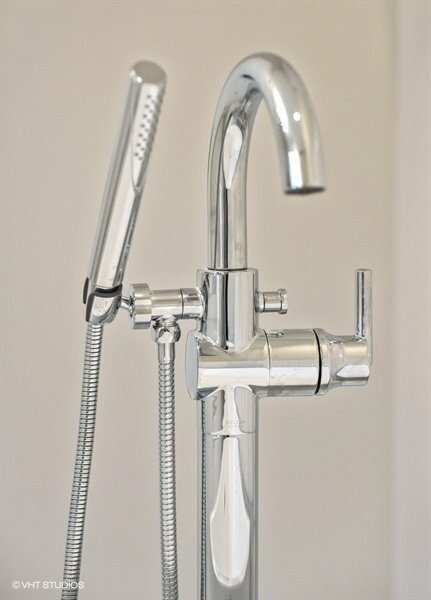 The standalone soaking tub is a contemporary stunner, begging for bubbles. 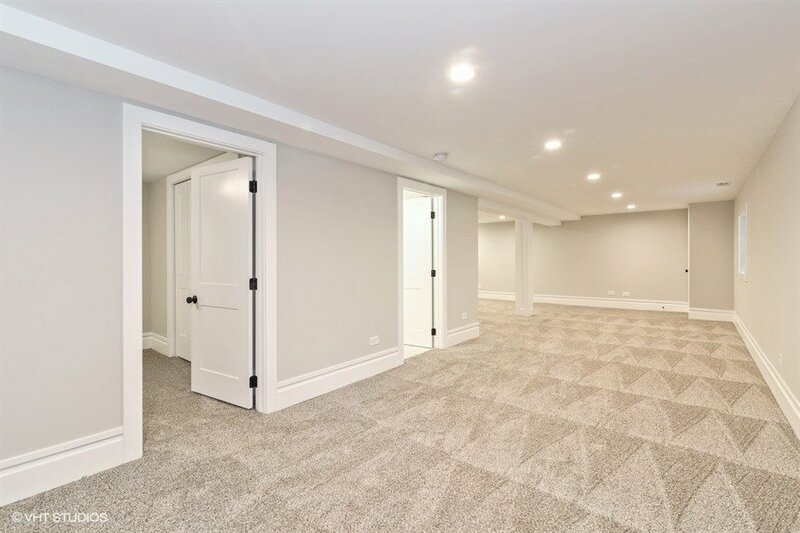 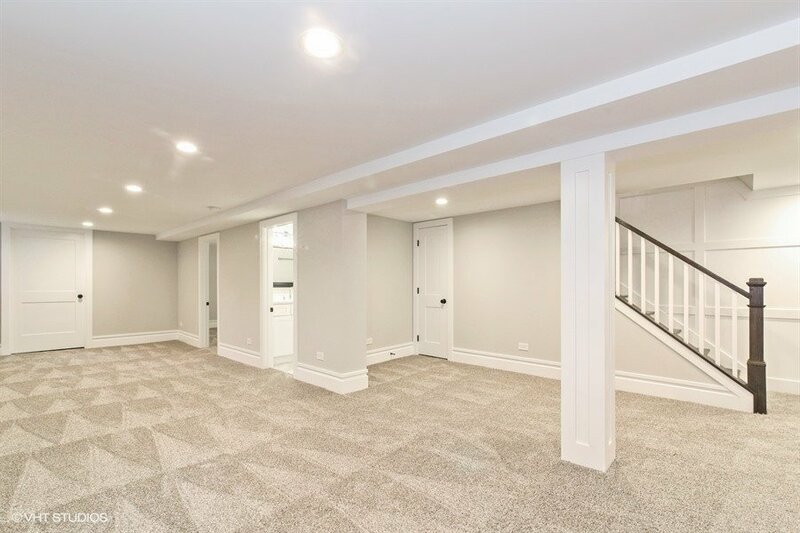 The enormous finished basement holds the whole gang, even when they want to stay the night, with a bedroom and full bathroom. 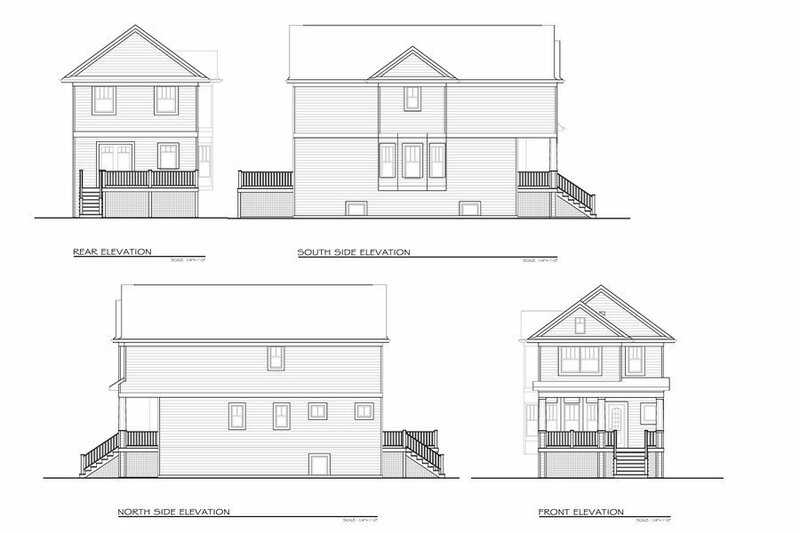 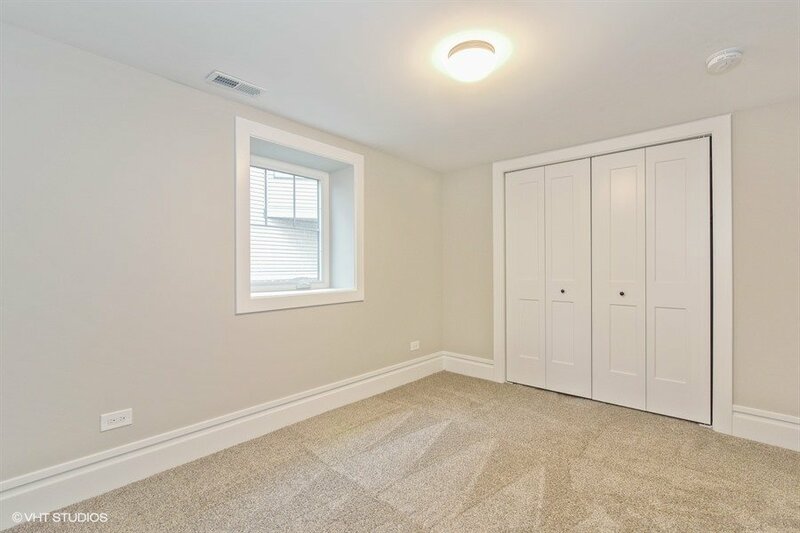 Plus, the basement is primarily above grade, allowing in loads of natural light. 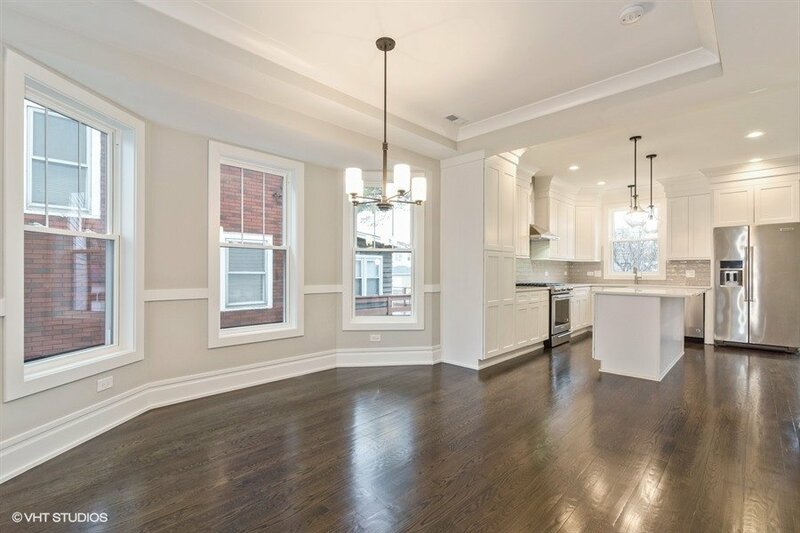 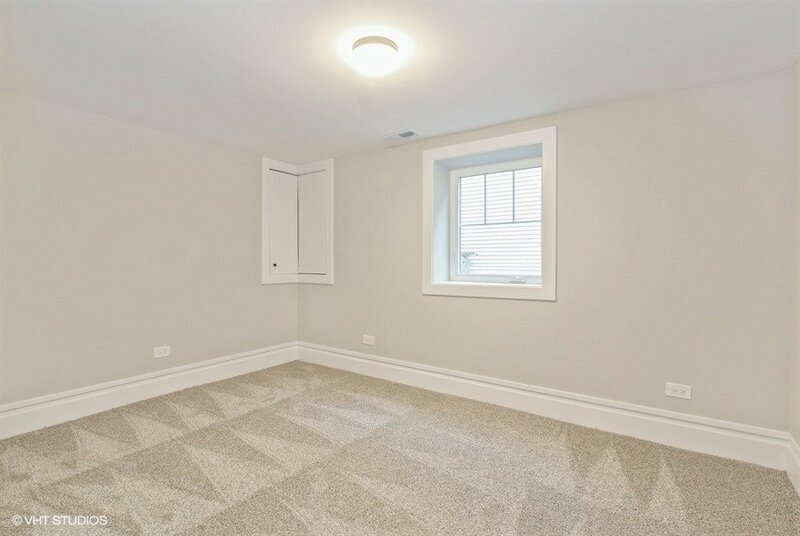  Take advantage of the easy CTA train ride to the city, while embracing all that highly desirable Oak Park has to offer, including incredible dining, shopping and nightlife. 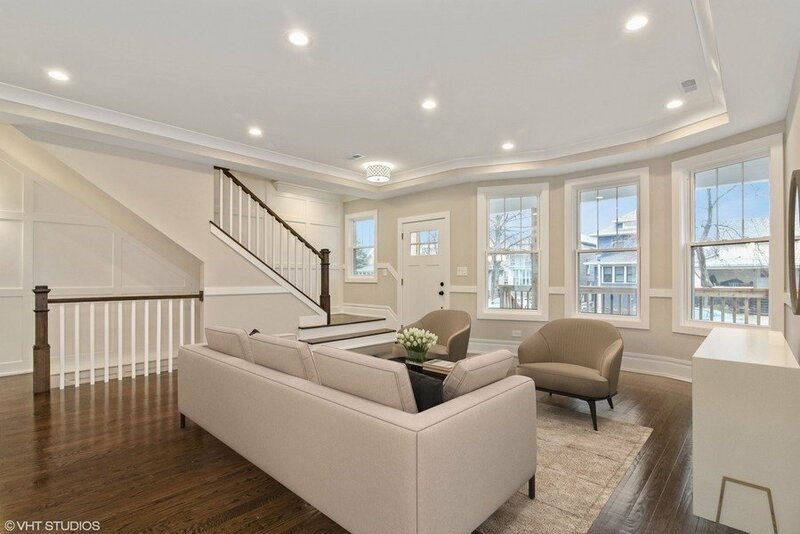 Luxury Total Rehab: Enjoy all new amenities in this stunning 4-bedroom, 3,000-square-foot home. 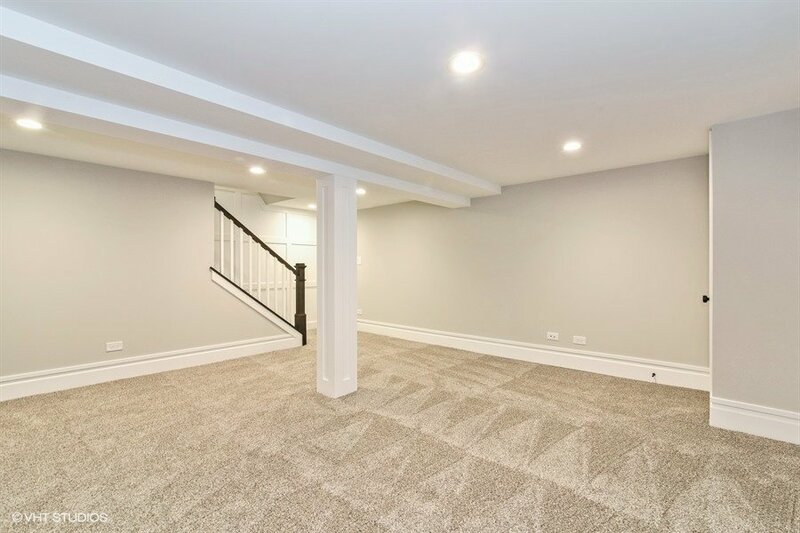 Entire basement level is 65% above grade. 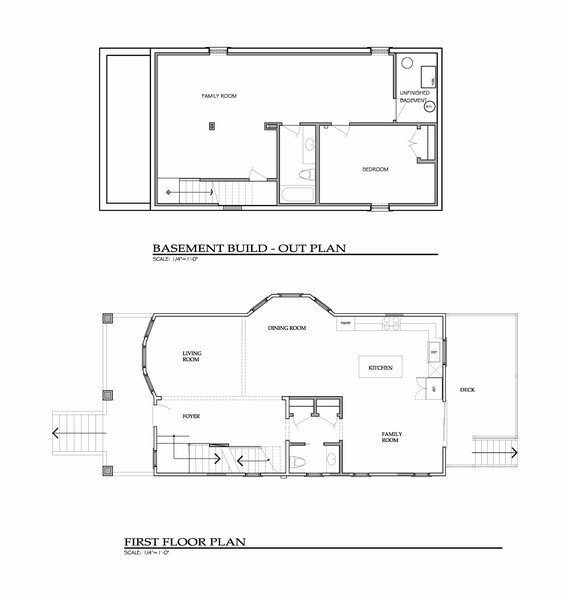 Open living room, bed and full bath, natural light, large storage room.